Last night I was up until 1:00 am worried that I wasn’t good enough. I obsessed on the computer most of the day, fluctuating between a social network page, YouTube videos, and this blog. There is something extremely calming about my blog. I just click on the main page and stare, reread, and peruse the comments. My blog connects me to another realm, to another part of myself, and to other people who know my journey. The writing offers me a reflection of me: my uniqueness and beauty. My blog is my passion, my talent, my creativity. Beyond the computer, I felt frightened, somewhat like a little girl running outside the protective circle of her guardian. When I pulled myself away I was nervous and I overate. I grounded chocolate-pudding brownies into mocha-almond-fudge ice cream. I had bread rolls and garlic bread, hash browns, and other carb-filled delights. All the while feeling worse and worse about myself. I felt entirely alone and useless, despite my family being home. So much so that I googled: Why it’s okay to be lazy and Why it’s okay to do nothing. I felt extreme guilt about being ME. I analyzed why I had this guilt, but the analysis made things worse. I knew all the things I should have been doing, such as: exercising, showering, drinking green tea, taking my supplements, getting out of the house. But I couldn’t do anything. I was immobilized, trapped, frozen. I couldn’t even change the stained shirt I was wearing or bend down to pick a crumb off the floor. These types of days, where I am overcome by grief, fear, and fatigue, are nothing new to me. I’ve had these days since I was a teenager. The challenge is that now I’m not a teenager, I am a mother and a wife, which comes with responsibilities beyond my own needs. These roles’ obligations add to my guilt, my feelings of low self-worth, and my inability to fully retreat, regroup, and reenergize. Yesterday wasn’t the easiest of mornings for our family. There was some turmoil. This spike in the energy of the household left my brain sprawling. Any type of unexpected event causes me to feel unease and fear. No amount of reasoning, cognitive tools, or talk can dissipate the fear. I have to go through the fear. Then, once on the other side—whether within minutes or a day—I have the clarity of mind to process and release. Yesterday the fear stayed with me. Yesterday I hated myself for starting this stupid blog. I thought for certain I’d never ever have anything to write about worth interest. I hated myself for thinking I was making a difference. I hated myself for my lack of willpower, my messed up emotions, my inability to relax, my constant, constant challenges. I hated life. My life felt like poop, so much that I even Googled poop. I watched a YouTube on crap—and then wondered whose crap it was. About midnight, I began preparing for the next day, hoping I’d awake in a different mindset. I wrote a poem about how I’m okay, listing everything from wearing pajamas all day to overeating. I started researching self-acceptance. Starting telling myself I am okay. 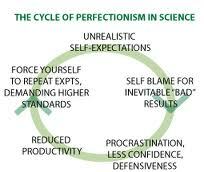 I understand with further clarity how I’m trapped in a cycle of perfectionism—always have been, and imagine I always will be. It’s something about the way my brain functions. My strong analytical ability and extreme fluid intelligence enable me to have complex thought processes and to produce quality work; however, those same abilities put me into overdrive of self-analysis, worry, and remorse. My own thought processes set me up for failure. 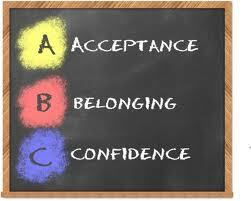 I understand with further clarity how a well-balanced person experiences the ABC’s of Acceptance, Belonging, and Confidence. And how having Aspergers evokes feelings of Rejection, Not Fitting In, and Timidity. 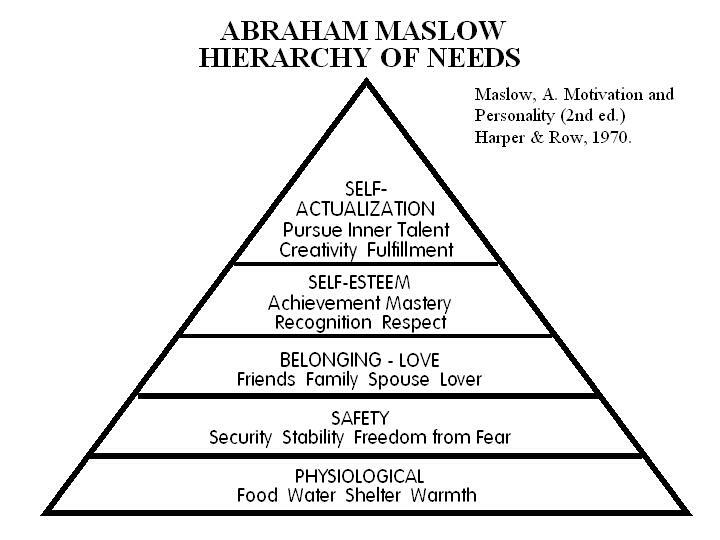 I understand with further clarity how Maslow’s Hierarchy of needs relates to this female with Aspergers. My physiological needs are being met. My safety needs are not being met. There is no security, stability, or freedom from fear. There are moments of relief from fear, but they are fleeting, always temporary, always changing. My sense of belonging is limited. I feel continually that I am not upholding to the rules, expectations, and norms of others. I question my actions, my motives, my own belief systems. I upset my spouse; I neglect my family; being a lover comes with its challenges. I have friends that love me unconditionally, but I worry that they will discover, at a deeper level, I am too odd, too strange, too much to deal with, not enough. I achieve mastery sometimes in my writing, in my thinking, in my ability to love others; but there remains an underlying doubt and fear about others’ judgment and rejection. I like ME most of the time. I would choose ME as a friend. I’d be happy with ME as a friend. Yet, at the same time I doubt my ability to be enough. I achieve recognition and even respect, but I over analyze both. I question am I worthy to receive recognition and respect? What if I disappoint, offend, and/or fall short? What if my faults are singled out? What if I am ridiculed, judged, and rejected? What if I become prideful? This is where my triangle is top-heavy. I do pursue my inner talents. I do pursue creative endeavors. I do feel fulfilled by my endeavors. It appears my self-actualization is reached from a different avenue than the norm. I do not progress up the triangle. Instead I take a ladder, lean it against the triangle, climb up, and bypass the center of the triangle, to reach the top. I pursue my talents because that is my refuge, my retreat, my coping mechanism. In this realm, atop the triangle, lies my freedom and power. Atop the triangle sits my obsession, fixation, passion, joy, and extreme love. And that explains where I was yesterday. I was seated on the top-level of the triangle. High out of reach. I retreated to my place of comfort. Today, I climb back down the ladder, back to the ground. But I carry with me a greater clarity, a clarity only found because I sat at the highest peak and viewed my world.